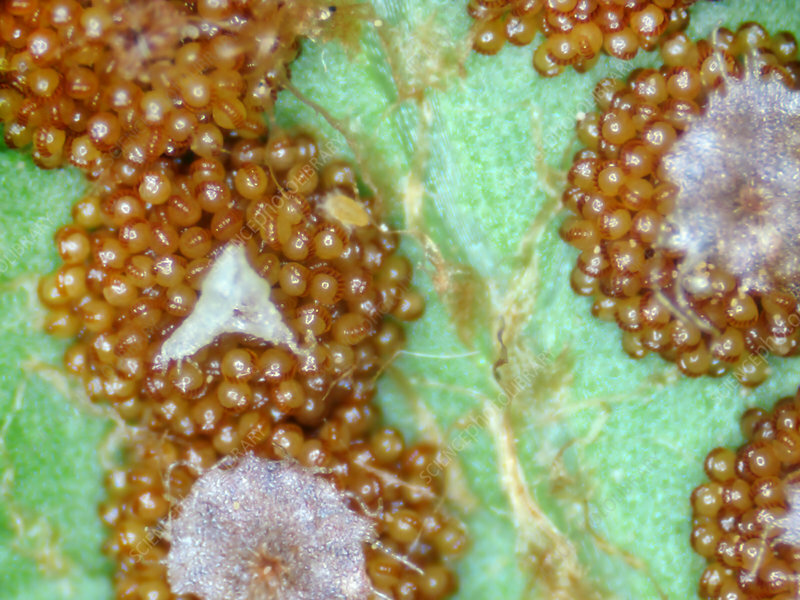 Sporangia of the Western Sword Fern (Polystichum minitum). These contain the spores for a new generation of ferns. Photograph from a living fern. Magnification 28x when printed at 10 cm.